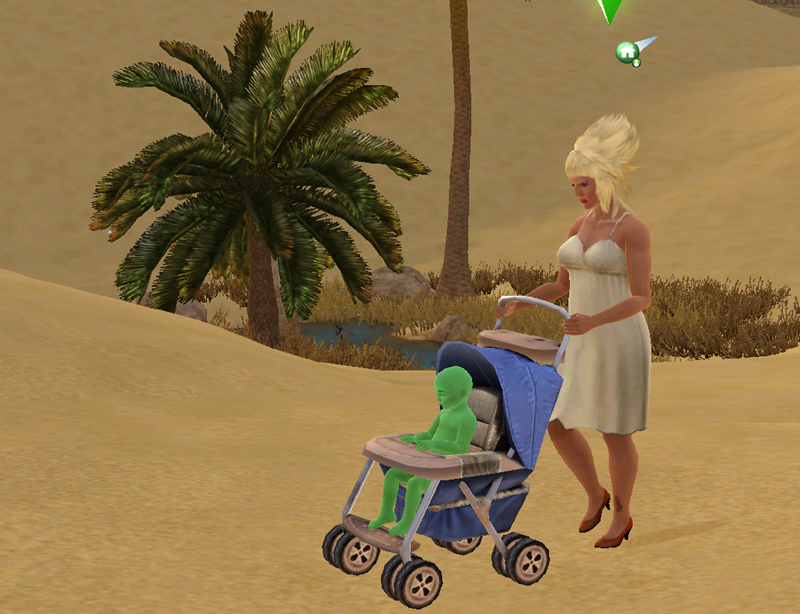 A new Occult life state in The Sims 3 University Life Expansion Pack. A Sim that eats a Forbidden Fruit will get the 4h Botanitis Minorus moodlet, which costs $3000 Simoleons to cure at the Science Lab. If not cured, the Sim turns into a PlantSim. To become a PlantSim, a normal Sim has to have to eat a forbidden fruit, or be turned into one by being a science experiment while at University (20% chance). No Hygiene. Instead of Hygiene they have Water. They do not need to take baths. They CAN take baths or showers, though this is slower to refill Water than Photosynthesize. The squeaky clean moodlet from showering becomes the Well-Hydrated moodlet. They can Photosynthesize when outside in the daytime (click the Sim). This takes an hour, over which they gain both Energy and Water. Also if they get rained on, (assuming you have Seasons) the Water need is filled. Sometimes the seeds are available; a Sim with good Gardening skill can grow them. Use Tend Garden if you want guaranteed fruit to change an existing Sim, as Harvest always gives babies. To get a forbidden fruit seed you need the science skill: it comes from gene splicing. Some seeds will not work for splicing. Woohoo with a PlantSim, in a mod free game, always seems to produce a seed. Harvesting a fully grown Forbidden Fruit Plant will result in the Sim harvesting a baby PlantSim, which will look like the Sim that picked it. Otherwise there are no genetics apart from green skin, leafy hair. or throw a Potent Cure Elixir (made by Alchemists) at them. Plantsims don't have to eat or go to the bathroom. Plantsims can talk in numerous ways to plants, even flirt with them. Everywhere they go, they leave a trail of flowers. Plantsims can Photosynthesize where they spin and drill into the ground. This will recover Energy and Water needs for that PlantSim. Flower kiss: this will give the target an 'Obsessed' moodlet for 8 hour. This interaction is considered flirty. Poison kiss: unlocked when the plantsim has a Sim marked as an enemy. The victim of a poisoned kiss will have 'Poisoned' moodlet that last for 3 hours and lowers their mood for -25. The plantSim itself will gain 'Hydrated' moodlet that can boost its mood +30. A PlantSim's lifespan is the same as that of any other Sim. If you do not potty train a plantsim (but they do learn to walk/talk), it only counts as only "moderate" success and a trait is autochosen. Even though they DO NOT need to use potty. PlantSims toddling about, leaving flower trails are just adorable. A way to "set" the gender of a plantsim baby! When your Sim fertilizes the plant, fertilize with an apple for a girl, and a watermelon for a boy.